Manila, Philippines – The militant fisherfolk group Pambansang Lakas ng Kilusang Mamamalakaya ng Pilipinas (PAMALAKAYA-PILIPINAS) chided Presidential Spokesperson Edwin Lacierda on his answer to Atty. Harry Roque’s question about the 35 delegates who come to The Hague, the Netherlands to present the Philippines claims in the West Philippine Sea before the Arbitral Tribunal. In a statement, the PAMALAKAYA Vice Chairperson Salvador France said Lacierda should answer Atty. Roque in a professional manner instead of an immature answer like calling Roque a K.S.P. (Kulang Sa Pansin). This entry was posted in Uncategorized and tagged Abigail Valte, activist fisherfolk, Arbitral Tribunal, Arbitration, Edwin Lacierda, Emmanuel Bautista, fisherfolk, Harry Roque, Leila de Lima, Pamalakaya, Pamalakaya chided Edwin Lacierda, Salvador France, West Philippine Sea. Manila, Philipines – The militant fisherfolk group Pambansang Lakas ng Kilusang Mamamalakaya ng Pilipinas (PAMALAKAYA-Pilipinas) slammed the Department of Environment and Natural Resources (DENR) for seeking a resounding P10.14 billion for the implementation of the National Greening Program (NGP) in 2016. In a statement, the PAMALAKAYA Vice Chairperson Salvador France called the DENR a hypocrite for pretending that they really meant to protect and preserve the environment through their NGP. This entry was posted in Uncategorized and tagged activist fisherfolk, DENR, fisherfolk, Laguna Lakeshore Expressway Dike Project, National Greening Program, Pamalakaya, Reforestation, Salvador France. THE Pambansang Lakas ng Kilusang Mamamalakaya ng Pilipinas (Pamalakaya) on Monday called for a thorough investigation on the alleged violent demolition of 264 shanties in Sitio Balacbacan, Barangay Laiya, San Juan, Batangas, on July 3. The demolition, which rendered 600 families living at the coastal area homeless, also deprived fishermen their source of income, as they are prevented from fishing in the area. The fishermen, Pamalakaya said, continue to experience harassment and intimidation. According to the group, the demolition was allegedly ordered by real-estate developer Federico Campos III. He is the owner of Laiya Development Corp. and Macaria Development Corp. which aims to convert the land of Barangay Laiya from productive fishing to ecotourism purpose, Pamalakaya Secretary General Romy Antazo said. Laiya boasts of white-sand beaches and is considered a potential tourist destination in Batangas. The fishermen said that Campos is claiming ownership of a vast tract of land in the barangay and plans to develop a resort along its coasts. “There’s no way that this Campos has the right to own the land.” Antazo said. Haligi ng Batangueñong Anakdagat (Habagat), Pamalakaya’s local chapter, said that after those whose houses were demolished are being denied to go back to their fishing grounds. “First they destroyed our houses and now they deprive us from our only source of livelihood. We contribute significantly to the fishing industry on the province of Batangas but we don’t see any immediate reaction from the local government since the violent incident happened.” Habagat Laiya Vice Chairman Elsie Lucero said. This entry was posted in Uncategorized and tagged Anakpawis partylist, Brgy. Laiya demolition, Federico Campos, fisherfolk, Habagat, Pamalakaya. Manila, Philippines – Fisherfolk organizations from various parts of the country staged a nationally coordinated protest in different forms to observe World Fisheries Day. The protest was led by the left-leaning fisherfolk group Pambansang Lakas ng Kilusang Mamamalakaya ng Pilipinas (PAMALAKAYA-Pilipinas). In Metro Manila, fisherfolk from Southern Tagalog and the National Capital Region, and other marginalized sectors gathered together in Mendiola, Manila. Being the poorest of the poor in Philippine society, the fisherfolk clamored against widespread privatization, conversion and reclamation of fishing waters under the Aquino administration which causes massive displacement of coastal communities and the worsening hunger and poverty among the fisherfolk. “Anti-people projects such as eco-tourism and eco-zone projects funded by foreign capital promote destruction of fisheries resources and violate the rights of small fisherfolk all over the country,” stated PAMALAKAYA Secretary General Romy Antazo. The PAMALAKAYA official also pointed that the long-running Fisheries Code of 1998 failed to protect the rights and uplift the lives of small fisherfolk and the marine and inland environment from destruction by corporate interests. “This Fisheries Code of 1998 does not eradicate poverty, hunger and dispossession of the almost 1.3 million poor fishermen in the country. 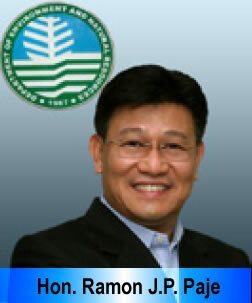 It only worsened the plight of small fisherfolk 16 years since the law was enacted,” Antazo said. According to PAMALAKAYA’s Batangas chapter Haligi ng Batanguenong Anakdagat (HABAGAT), under the Fisheries Code of 1998, many fishing areas in Batangas were declared as fish sanctuaries by the local government. These sanctuaries became main attractions of beach resorts while the fisherfolk are banned from going near these sanctuaries. “The fisherfolk are being deprived of their only source of livelihood and much worse, they are displaced from their communities to give way to these eco-tourism projects. The Fisheries Code does not only kill fisherfolks’ livelihoods but also their lives in general,” Antazo said. The group cited several projects that are highly inimical to small-scale fisheries including the Laguna Lake Master Plan which aims to convert Laguna Lake from productive fishing grounds into eco-tourism zones; the Manila Bay Master Development Plan that involves the privatization and reclamation of the bay; the widespread black sand mining in Cagayan Valley, Zambales, Eastern Visayas, Negros and Panay island; and the eco-tourism projects in Aurora and other parts of the archipelago. This entry was posted in Uncategorized and tagged Anakpawis, CONVERSION, fisherfolk, Pamalakaya, privatization, reclamation, World Fisheries Day. This is especially remarkable as far as the fishers of the world are concerned. The world is being surrounded and linked by waters thru seas, oceans, rivers, lakes and other bodies. In fact the world is seventy percent water. In this part of the earth which is considered the last frontier dwells a human being called fisherman. Fishers are everywhere. Yet, they are alien with each other. The water that serves as an effective link among fisherfolk is an irony in itself as it serves also as wall that separates fishers of the West from the East, or fishers of the North from the South. That while fishers are strategically located in every fishing ground, yet they remain a dormant but potent force that still hast to e organized and mobilized towards a common ground. It is a stark reality that, anywhere the treatment of the water and the whole aquatic environment is dumping site for waste of all kinds. Advance countries in particular consider the fishery areas of the third world an unloading site for their toxic wastes. This is while thinking that its resources cannot be depleted by unrestrained and rapacious exploitation of the mighty few. In this respect, there is indeed a need to exert pressure towards the addressing of the problem by every government and peoples of the world. This problem requires coordination among peoples and groups caring for the environment and natural resources in order to be solved. And the fisherfolk, being the sector whose life and limbs are integral part of the aquatic environment must in unison initiate the act. The junction of goal and undertaking in the international arena could be facilitated through formation of a global solidarity to the effect that fishers of the world would coordinative launch lobbying and advocacy activity address to their respective government and people, and to the whole altogether. Filipino fishers, being one of the most numerously scattered sectors in the Philippine society, and whose very existence is largely dependent on agriculture, particularly fisheries can serve as effective link as far as fostering fishers’ solidarity around the globe is concerned. The Filipino fishers’ struggle against exploitation and devastation of the fishing grounds has always been as intense and as reflective of the current fisheries issues and problems. This is understandable because a glance at the Philippine fishery profile reveals that the Philippines, being located at the heart of Southwest Pacific Ocean, is an archipelago encompassing some 7,100 islands and islets which tropical waters are known to be rich in marine and aquatic lives. The country’s total coastline is 17,462 kilometers with a marine cover of 2.11 million square kilometers. Its inland waters is composed of 68 lakes, 421 rivers, swamplands, reservoirs, dams and fishponds with an aggregate total of 1,070,600 hectares. Therefore, next to agriculture, fishing is one of the primary economic activities in rural dominant Philippines. The industry employs over one million people or about five percent of the national labor force. Municipal fisherfolk are the dominant productive forces in the industry. More than 675,000 fall under this category. Aquaculture fisheries have more or less 250,000 workforces, while not less than 50,000 work as wage earners for large-scale commercial fishery business in the land. The fishing industry plays a crucial role in the lives of Filipinos. Aside from providing direct and indirect employment for millions of rural folk in the land (around 6.24 million directly dependent get their source of livelihood from the industry), it also ensures the people of safety and security with regard to their food needs. For Filipinos, fish remains one of the basic necessities of life and one of the most important and cheapest sources of protein especially for the poor. In 1992, municipal fisherfolk posted a total harvest of 855,000 metric tons of marine product or 32.56 percent of the total marine output produced last year. Commercial fisheries were accounted for an 805,000 metric ton output or 30.65 percent. More significant is the rapid growth in aquaculture fishery posting a 736,000 metric ton produced or 27.80 percent, while inland fisheries managed to produce 230,000 aggregate tons of fish product or 8.76 percent of the aggregate production for 1992. The fishing industry earmarked a total gross output amounting to P 65.443 B in 1992. Despite the projected growth in the industry, fisherfolk still live in abject poverty. Independent studies revealed that majority of them are economically deprived and/or marginalized. According to these studies, almost 80 percent of them earn income below the poverty threshold of P 2,061 set by NEDA. Organized fisherfolk and non-government organizations (NGOs) attributed the worsening plight of the marginalized fisherfolk to existing fishery laws and policies which they described as pro-foreign, pro-capital and anti-fisherfolk. PD 704 also known as Philippine Fisheries Law of 1975 has deprived fishermen to explore and utilize the country’s vast marine and aquatic resources. The law expressly favors the private sector or the moneyed class in the exploration and exploitation of fishery resources by declaring that sector beneficiary and reliable partner of the government in accelerating fish production and maintaining its export-import direction. The Philippine government by virtue of lopsided agreements entered into with foreign nationals and businesses has refrained Filipino fisherfolk from active participation and production in the industry. Onerous and one-sided agreements such as the RP-Japan Treaty and the RP-Taiwan Sea Lane Accord in years of their effectivities have contributed much to the fisherfolk’s deplorable condition. For years, the government has failed to address issues of social concern confronting Filipino fisherfolk. While laws and policies governing the fishing industry dynamically protect and legalized foreign and local capitals’ control over the industry. On ecology and natural resources side of the situation, the scene is even bleak. Records will attest to the following, that of the country’s coral reefs, only 5 percent remain in excellent condition. That our mangrove areas are being cleared at an alarming rate to give way to private and commercial fish ponds. That one third of the total sea grass beds has already been destroyed. Further, we have now 40 dead rivers, a high degree of pollution to 60 percent of our 68 lakes, and a number of destroyed marine fishing grounds, one example is Manila Bay. Destruction of the ecosystem id largely caused by pollution, siltation, destructive fishing methods, conversion of mangrove areas to fishponds and other uses, seaweeds and corals gathering for commercial purposes, and of course, lack of political will on the part of government to enforce fishing laws and to initiate fishery laws that would correct the current system. This situation is further compounded by various government projects and development programs which are being done with wanton disregarded to effects on the aquatic ecosystem as well as to the fishermen. It should be noted that some of the local fishery problems like toxic wastes, encroachment of foreign fishing vessels, fishery laws, treaties and programs favoring foreign countries and businesses ought to be rise to the international arena or forum to gain strength towards complete resolution. One clear connecting thread therefore in forging international solidarity are the local fishery issues possess of international implications e.g. GATT, EEZ, toxic wastes, and others. This entry was posted in Uncategorized and tagged fisherfolk, IFWC, international fisherfolk, Pamalakaya, solidarity.